Cale Brandon is the #1, most highly rated violinist in Georgia for ceremony music on GigSalad and The Knot. 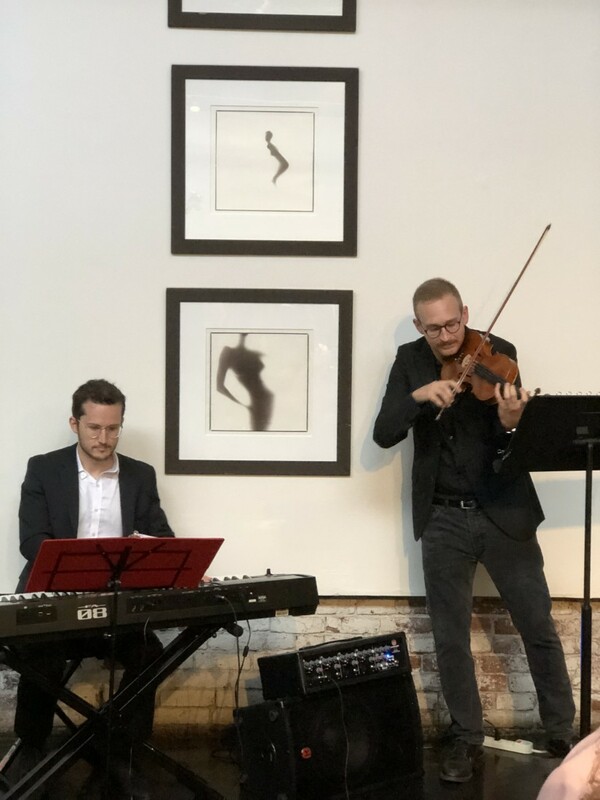 In addition to a rich solo violin sound, Mr. Brandon can provide a piano accompanist or a duo, trio, or quartet for your ceremony or event. He graduated with a Bachelor's of Music from Georgia State University in 2015, where he studied with Julliard graduate Dr. Christos Galileas. 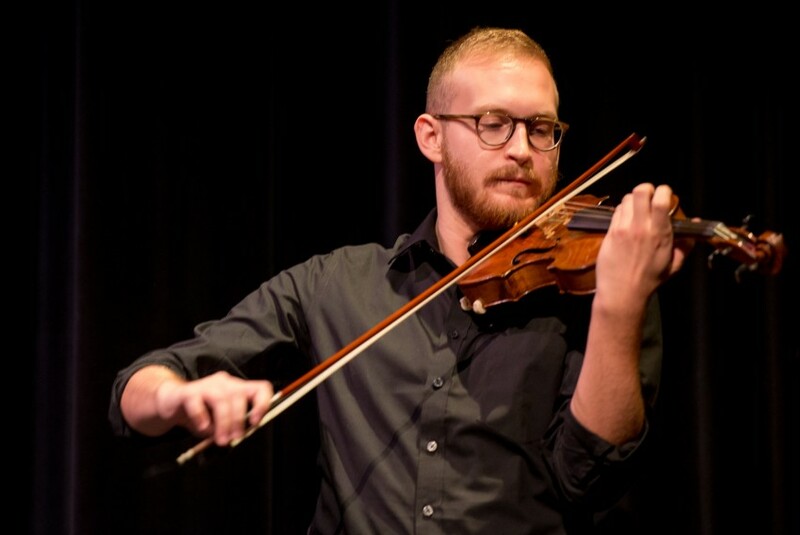 He is a member of the LaGrange, Albany, and Rome Symphony Orchestras, and performs regularly with the symphonies of Huntsville and Tallahassee. 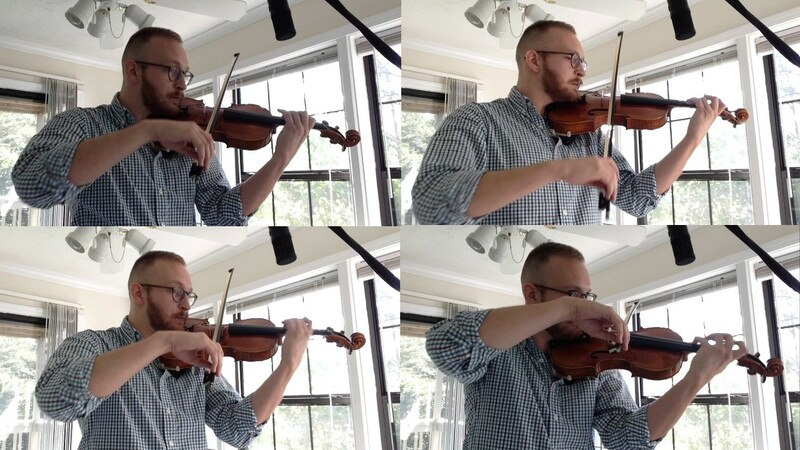 Mr. Brandon plays on a masterly crafted Italian violin by Vigato and has a wide repertoire featuring classical favorites, jazz standards, and pop/rock songs. Cale managed to find four extremely professional musicians who performed exceptionally well together. Cale also arranged the music for a special request of the bride. I was nervous using someone I've never met or heard before, but everything went very well. We cannot say enough good about Cale. He was prepared, worked with us on our unusual requests, was on-time, everyone loved him. He completely set the mood for our wedding. I would work with him again any chance I got! Thank you so much for the sweet words and kind donation, Tissiana! Your ceremony was absolutely beautiful and your vows touchingly authentic. And how appropriate to have your ceremony on the morning of the longest day of the year! Wishing you both love, wealth, and happiness in the years to come. Cale was extremely professional, his play is superb. We got married during the freak snow event of 2017. While some guests and even our photographer canceled, Cale arrived on time, as promised, and performed all that we requested and had other pieces prepared for moments we had not considered. He helped make our day perfect and we would definitely recommend him. Thank you so much for taking the time to post your review. Your ceremony was touchingly authentic and you and your loved ones made me feel as part of the celebration. It absolutely made my day to hear you and Myra were happy with my service. Wishing you two a new year full of love and laughter and a happily ever after! Cale has amazing talent! Very professional! He played for a corporate event for our venue and we will definitely be referring other clients to him! Arrived on time, played the perfect combination of music, and was incredibly wonderful to work with! Highly recommend!! Cale played violin during my wedding ceremony and was absolutely fantastic! He is an excellent musician and many of my guests expressed how much they enjoyed listening to him play. His music is smooth and adds a lot of emotion to the moment. I'll never forget the song he played when my DH and I exited together. So good! Not only was his music beautiful, but Cale was SO easy to work with -- clear contract, a expansive song list, and responsive via email. Cale was even willing to play an off-list song I requested. He arrived onsite extra early. If you are planning your own wedding like I did, you cannot ask for a better person to work with! Amber, Thank you so much for your kind and thoughtful review! I'm so happy to hear you enjoyed your experience working with me and that my playing was what you were looking for. Wishing you and Rex a marriage filled with wealth, love, and happiness! This was a total last minute booking and I don't think I could have picked a better violinist. I had no idea what I wanted my music selection to be. I left it all in Cale Brandon's hands and he couldn't have made the ceremony anymore beautiful! Thank you for being a part of the special day! He's the whole package at one rate!! Book him now! Cale took a collection of electronic songs and wedding classics and performed them beautifully. His renditions of Starlight and Sun and Moon had all the guest talking later in the night. I would highly recommend Cale for any event. I cannot express how thankful I was to have worked with such a flexible, skillful and like-minded musician. He delivered a lovely minute rendition of a favorite OST as a surprise to my (now) husband for our shared love for TLOTR and it was a huge hit! This gig started out as a strings accompaniment for a different song that I would be walking in to and it was absolutely beautiful and emotional walking down to LIVE strings, keyboard and vocals. THANK YOU, CALE! What a gift! Thank you for the very sweet review, Phoebe! And thank you again for having me - your ceremony was absolutely beautiful and your friends in the band were a delight to work with. Wishing you and Kevin a happily ever after! A+ Performance from Cale Brandon!! outstanding job returning , phone calls , emails and texts. He also provided me with a very impressive list of music that I could choose from even with the short notice. NOW LET'S TALK ABOUT THE MUSIC!! This is an extremely talented individual!! Cale played the processional , bridal march , and the recessional . He also played the 30 minutes while our guests were arriving . We received dozens of compliments regarding his performance. He arrived early and stayed until we released him. I would hire him again for anytime you need beautiful music . Best Violin and Piano Duet! My wedding ceremony was beautiful at the Decatur Courthouse, and Cale and John made it exceptionally amazing. They play so beautifully together. Cale was awesome to work with both before my ceremony and on the day of. Having spoken briefly through emails, Cale called me additionally to give any suggestions, or clarifications as to which songs would be played both before ceremony and during. I am extremely grateful for sharing in such a memorable experience with these professionals. Thank you. My groom and I were so fortunate to have found Cale and John (his pianist). They play amazing music and have a large selection of songs to chose from. I received many compliments from my guest about this wonderful duo. They were even able to play mine and my husband's first wedding dance song. They were able to accommodate this request in such a short notice. I highly recommend this duo. Their rates were really the best. Thank you so much for everything I will be hiring you again in the future. Thanks for taking the time to post this, Charlene! Really enjoyed playing for y'all! He did great! Learned how to do songs that I requested quickly and was able to work with me for the proposal surprise. Very professional! Highly Recommended! Thanks, Travis! Very pleased to hear you were happy with my work. Let me know if I can help with music for the ceremony. In the meantime, wishing you two a very happy and loving engagement! Thanks man you did super good! Thanks Ted, it was a beautiful wedding and I was happy to be a part of it! Wishing you both plenty of wealth, love, and happiness in the years to come! I hired Cale to perform 2 songs for my fiance for Valentines Day. He was a complete professional from the start. He arrived early to set up, which took no time at all. Cale knocked it out the park. You can tell he has put a lot of time and practice in his craft. My fiance was blown away by his performance and was even moved to tears. I highly recommend hiring this guy. I know i will again. You cant go wrong with Cale. Thank you for your sweet and thoughtful review, Terrence! I’m so glad Aja enjoyed it and hope you two had a great Valentine’s Day together! VERY PROFESSIONAL AND THE MUSIC WAS BEAUTIFUL! CALE PLAYED OUR DAUGHTER'S WEDDING ON 10./28/2017. 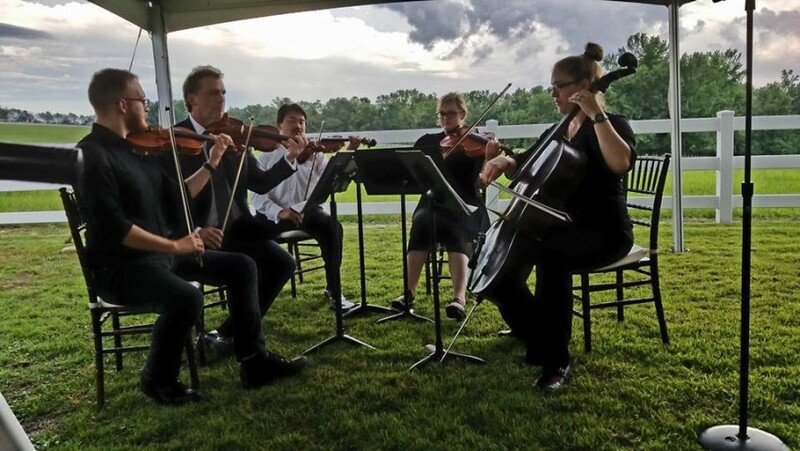 EVEN WITH THE RAIN AND COLD ON THIS DAY, CALE MADE SURE THAT OUR GUESTS WERE ENTERTAINED AND EVEN MADE THE EFFORT TO PLAY OUTSIDE FOR HER CEREMONY. I HIGHLY RECOMMEND HIS SERVICES!!! Our experience with Cale Brandon was nothing short of spectacular. He took initiative and set up and started playing wonderfully. I had a large amount of people comment on how talented he was. He set the perfect mood for the perfect wedding. He kept constant communication from the day he was contacted. Knowing that he had the music covered made the wedding just that much more stress free. Thank you so much for a lovely evening of beautiful music. Cale was absolutely incredible for my proposal he was very professional and prepared, really made the proposal! If you are thinking about getting a violinst for any event you should definite get Cale! We hired Cale for our wedding ceremony and he was great! 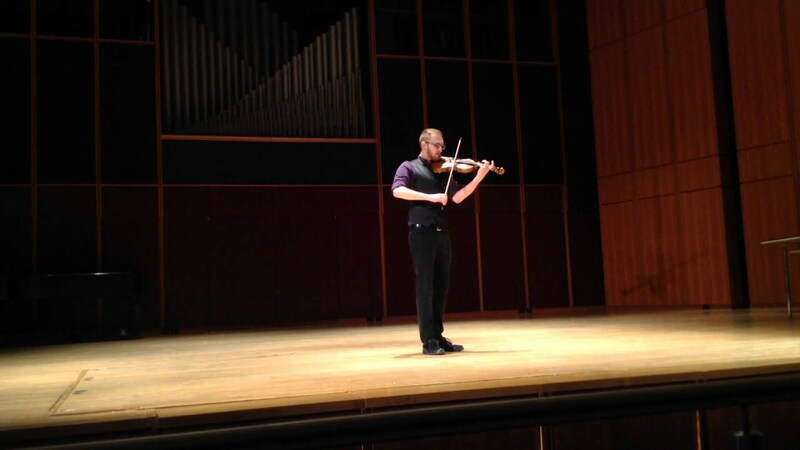 We highly recommend him if you are looking for a violinist! This is the first time I've used GigSalad, and I was very pleased with Cale's playing and professionalism. Will definitely use him again! Cale played for my wedding and he was incredible!! He dressed perfectly for the event, was on time and very accommodating during the whole planning process. He even helped me find a pianist in my budget who played during our cocktail hour. I submitted to Cale a long list of music from my mother- classical music enthusiast- and he more than met mine and my mother's expectations. We talked and emailed much during the planning and I cannot stress enough how great it is to have a vendor be so easy to work with. His music elevates any event you throw. So many of my guests told me how much they loved him and the beautiful music he provided. BOOK HIM! Professional, on time, communicated with us well throughout the process. Played a nice variety, a very likable young man -we would recommend to anyone. Our class said it was the Best Valentine party, Thanks for the memories! Thank you, Candy! You were awesome too and I so look forward to working with you again! Mr. Brandon did a phenomenal job. He helped me with engagement proposal to my now fiance. He went up and Beyond of what I expected. He played the song i choosen and played it prefect. My fiance was very impressed. He stayed in contact with me throughout the day . He ran into a situation where others might have canceled but he still came to perform. I would hire him again in a heartbeat. Thank you again Mr. Brandon. Cale was easy to work with and did great. Cale is a very talented and professional musician. His sound is full and beautiful. I am a singer and was in need of a violinist last minute. Cale not only had the skill level to be able to step into a performance and find his place with only 1 rehearsal, he added an extra special touch which brought the song to life. You will enjoy working with him and you will enjoy listening to his sound.